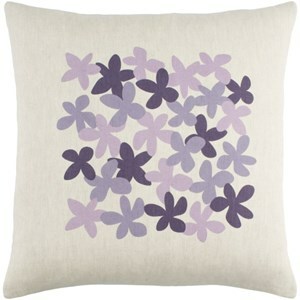 Expert craftmanship and artistic finesse is what describes the Little Flower collection designed by Emma Gardner. Woven in India with the front being made up of 55% linen, 45% cotton, and the back being made up of 55% linen, 45% cotton, this whimsical piece has a charming flower pattern that will make you smile and brighten up your day. 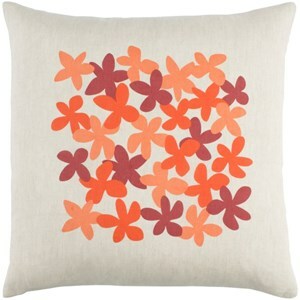 Complete your look by adding this pillow to your room, it will be perfect for bringing your decorative ideas to life! 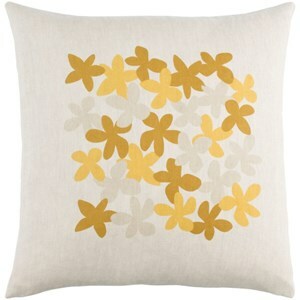 The Little Flower 20 x 20 x 4 Pillow Kit by Surya at Hudson's Furniture in the Tampa, St Petersburg, Orlando, Ormond Beach & Sarasota Florida area. Product availability may vary. Contact us for the most current availability on this product. 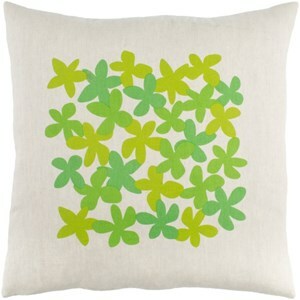 Browse other items in the Little Flower collection from Hudson's Furniture in the Tampa, St Petersburg, Orlando, Ormond Beach & Sarasota Florida area.